warning: preg_match(): Compilation failed: disallowed Unicode code point (>= 0xd800 && <= 0xdfff) at offset 1811 in /home/jamaicanewsnetwork.com/public_html/sites/all/modules/ctools/includes/cleanstring.inc on line 157.
strict warning: Non-static method view::load() should not be called statically in /home/jamaicanewsnetwork.com/public_html/sites/all/modules/views/views.module on line 906.
strict warning: Declaration of views_handler_filter::options_validate() should be compatible with views_handler::options_validate($form, &$form_state) in /home/jamaicanewsnetwork.com/public_html/sites/all/modules/views/handlers/views_handler_filter.inc on line 607.
strict warning: Declaration of views_handler_filter::options_submit() should be compatible with views_handler::options_submit($form, &$form_state) in /home/jamaicanewsnetwork.com/public_html/sites/all/modules/views/handlers/views_handler_filter.inc on line 607.
strict warning: Declaration of views_handler_filter_boolean_operator::value_validate() should be compatible with views_handler_filter::value_validate($form, &$form_state) in /home/jamaicanewsnetwork.com/public_html/sites/all/modules/views/handlers/views_handler_filter_boolean_operator.inc on line 159.
strict warning: Declaration of views_plugin_row::options_validate() should be compatible with views_plugin::options_validate(&$form, &$form_state) in /home/jamaicanewsnetwork.com/public_html/sites/all/modules/views/plugins/views_plugin_row.inc on line 134.
strict warning: Declaration of views_plugin_row::options_submit() should be compatible with views_plugin::options_submit(&$form, &$form_state) in /home/jamaicanewsnetwork.com/public_html/sites/all/modules/views/plugins/views_plugin_row.inc on line 134. Please go to www.1spotmedia.com for the live stream or download the app to your smartphone or tablet from the Google Play Store or the Apple App Store. If you are in Jamaica, register at www.1spotmedia.com for free access. 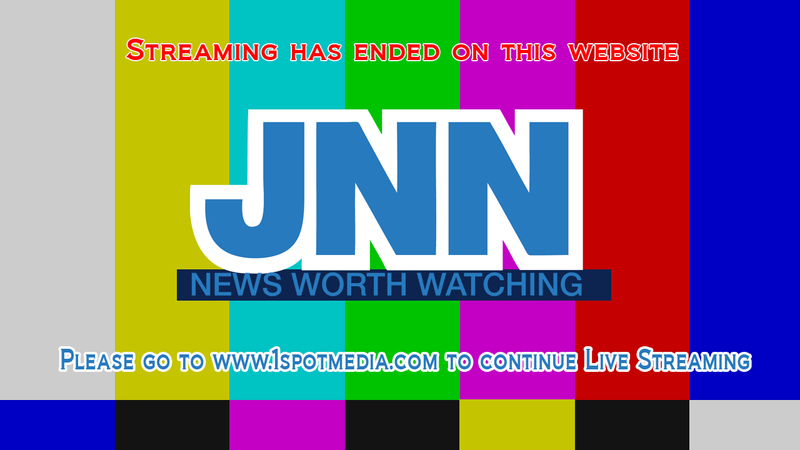 If you are outside of Jamaica, subscribe at www.1spotmedia.com at a rate of US$9.99 for access to the live stream of this channel, and all RJR Group channels and VOD items. Copyright © 2013 Multi-Media Jamaica Ltd. All Rights Reserved.